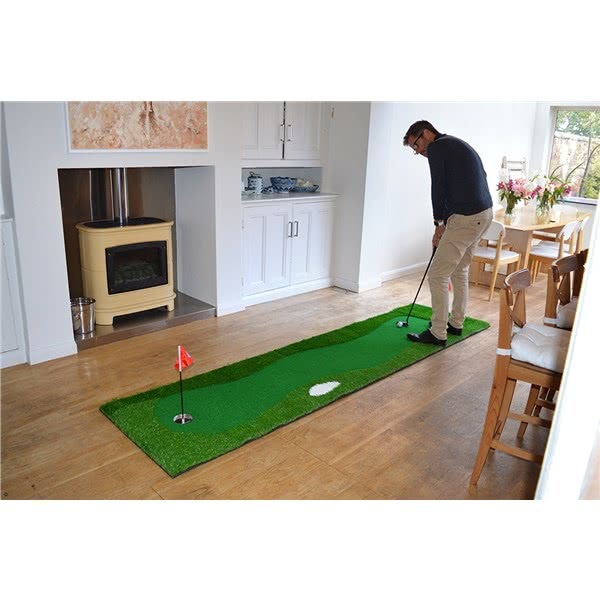 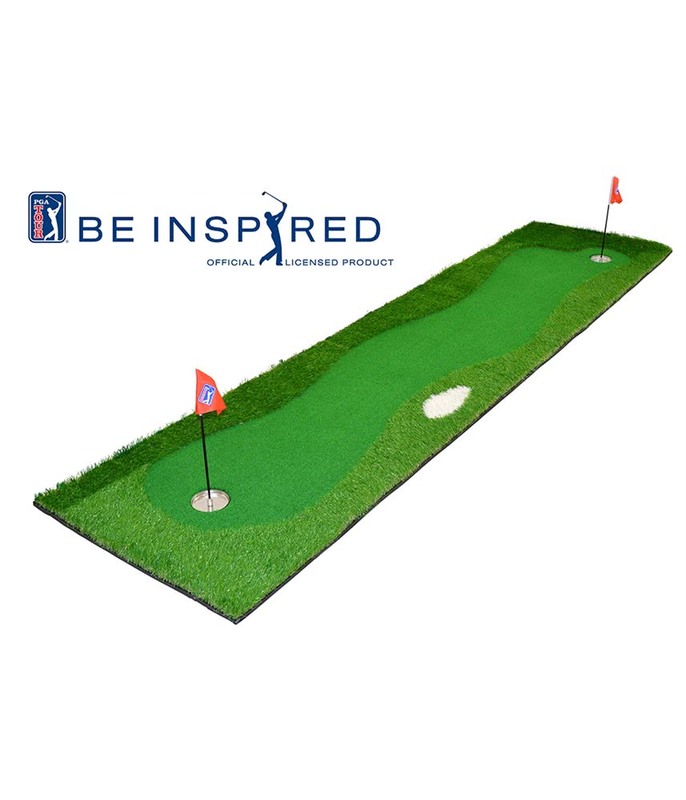 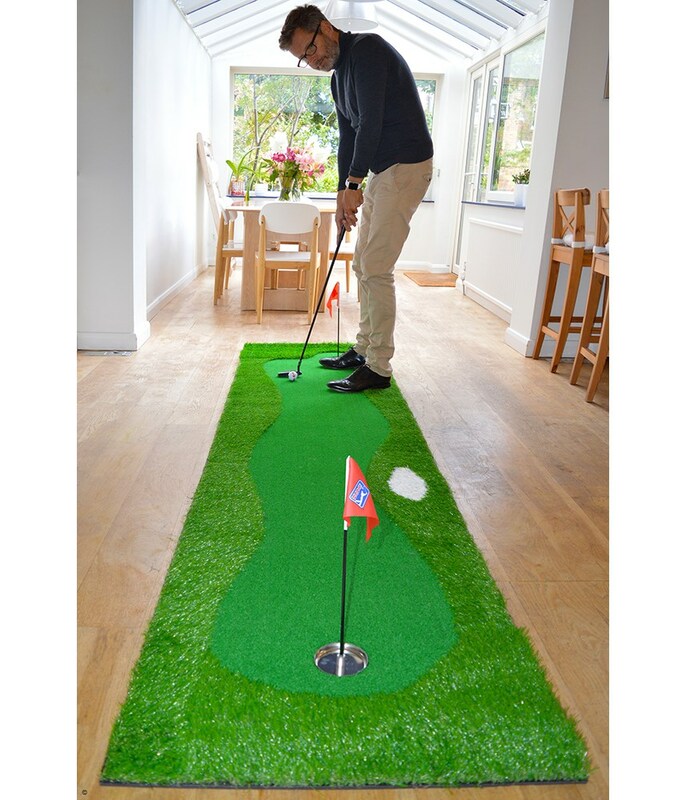 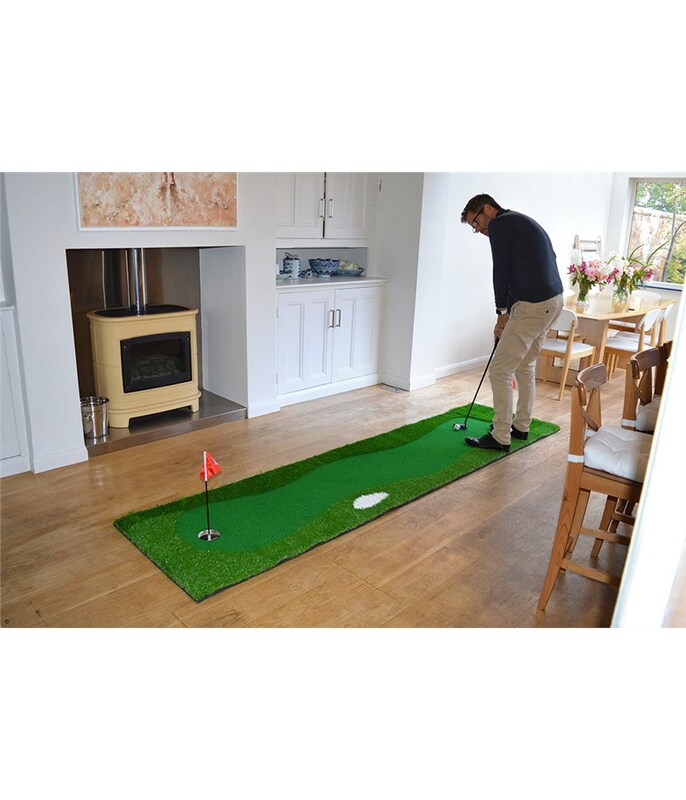 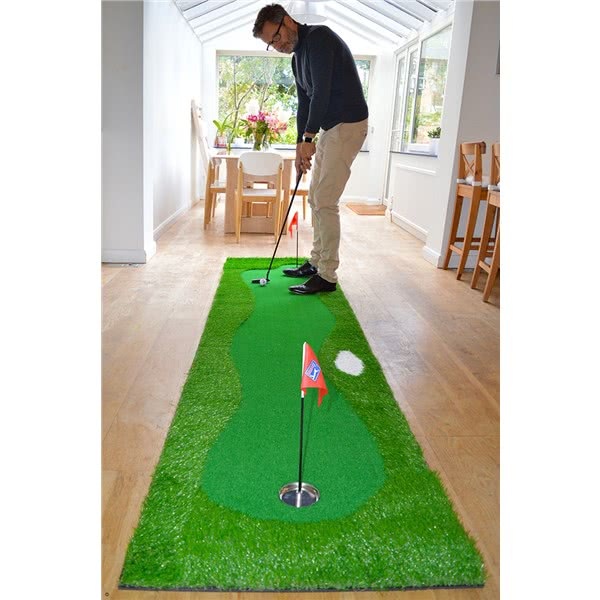 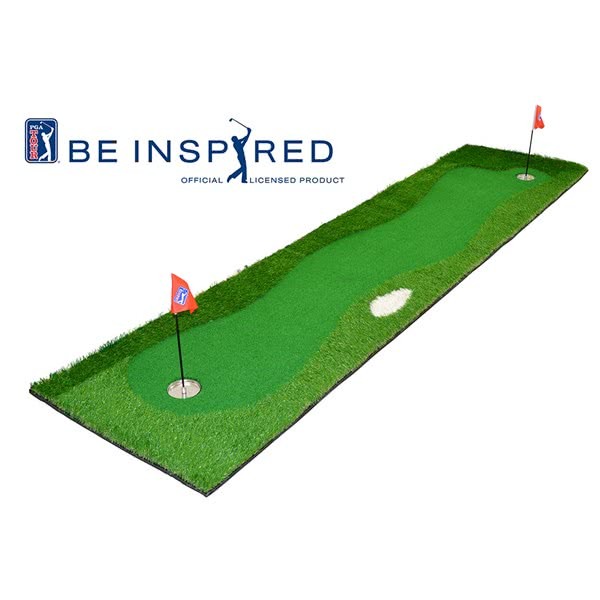 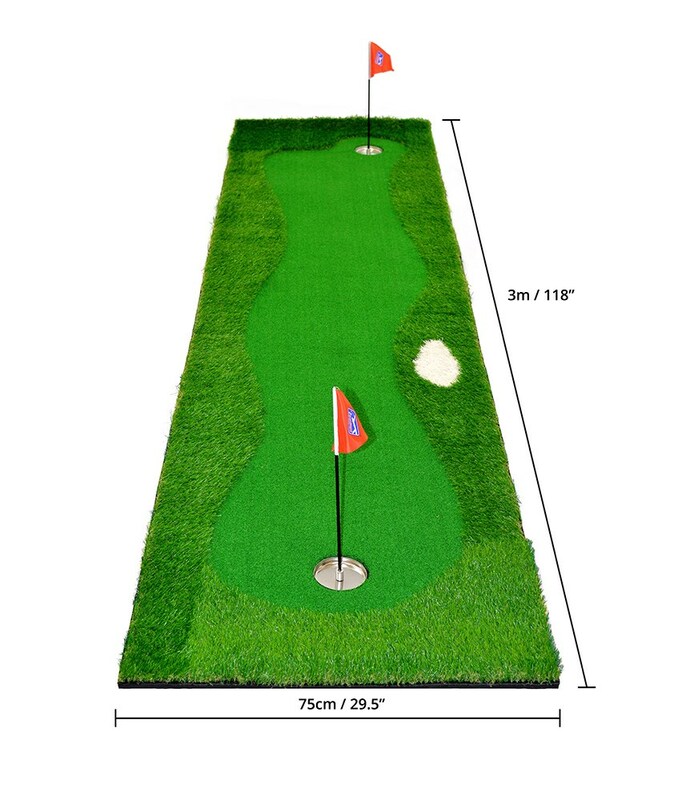 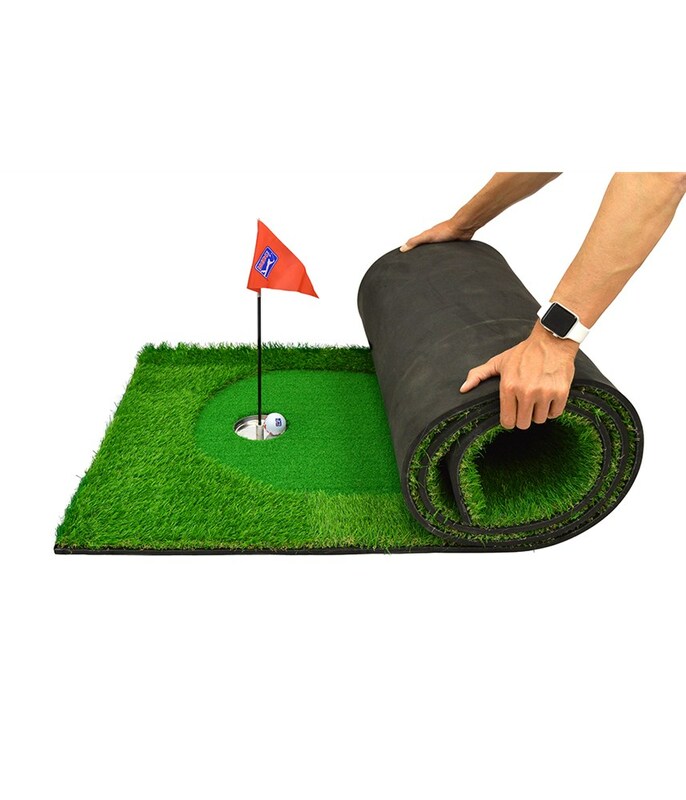 The PGA Tour Putting Green Mat has a surface that is designed to stay smooth for the best possible and consistent roll for those who want to practice at home or in the office. 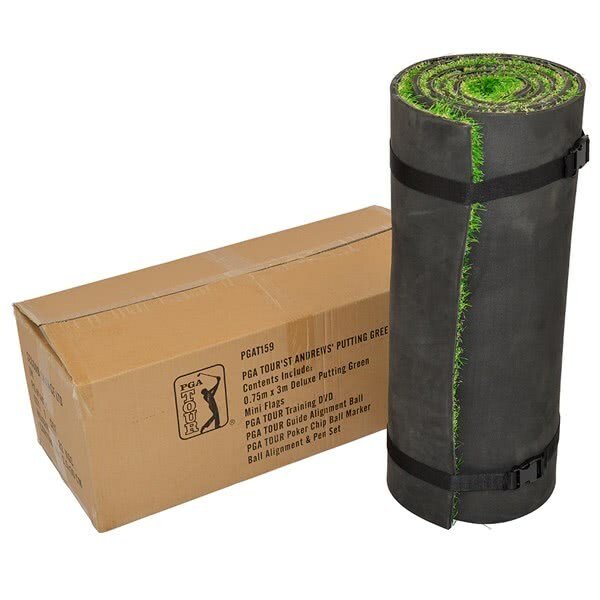 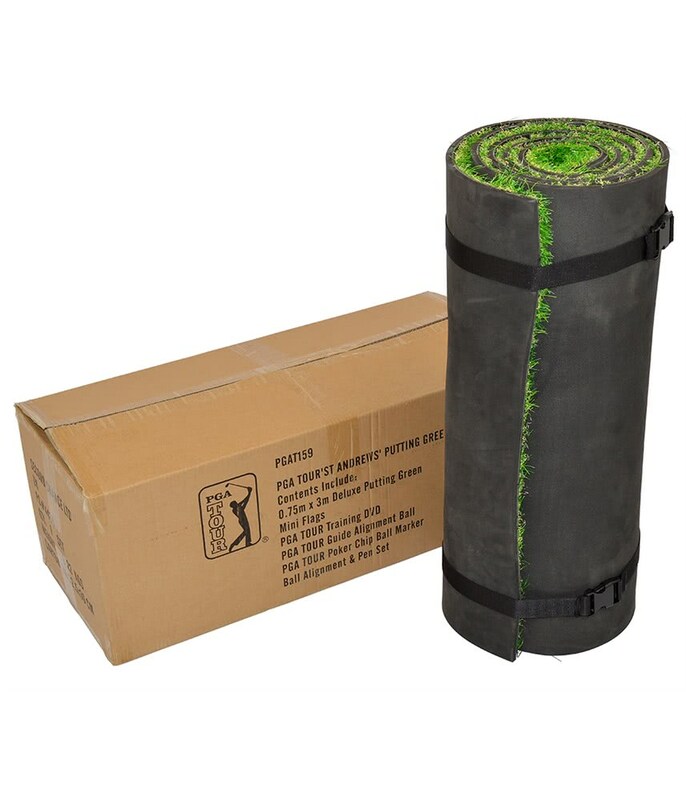 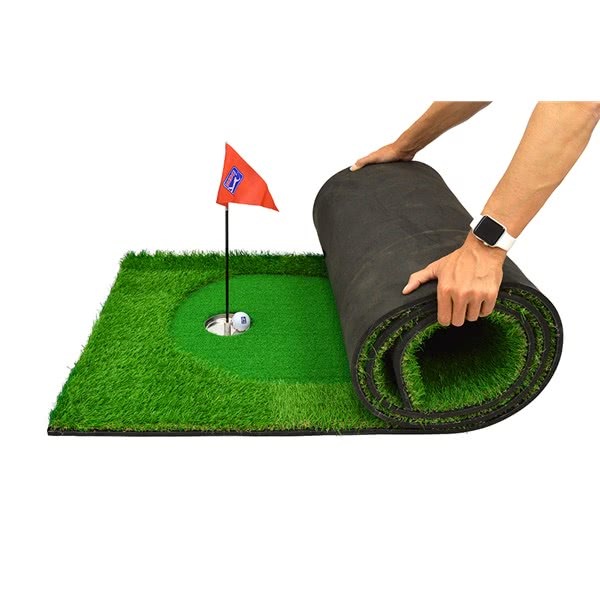 The true roll mat replicates the feel of putting on an average green, the fabric rolls out flat straight from the box and can quickly be stored back in the box when not in use. 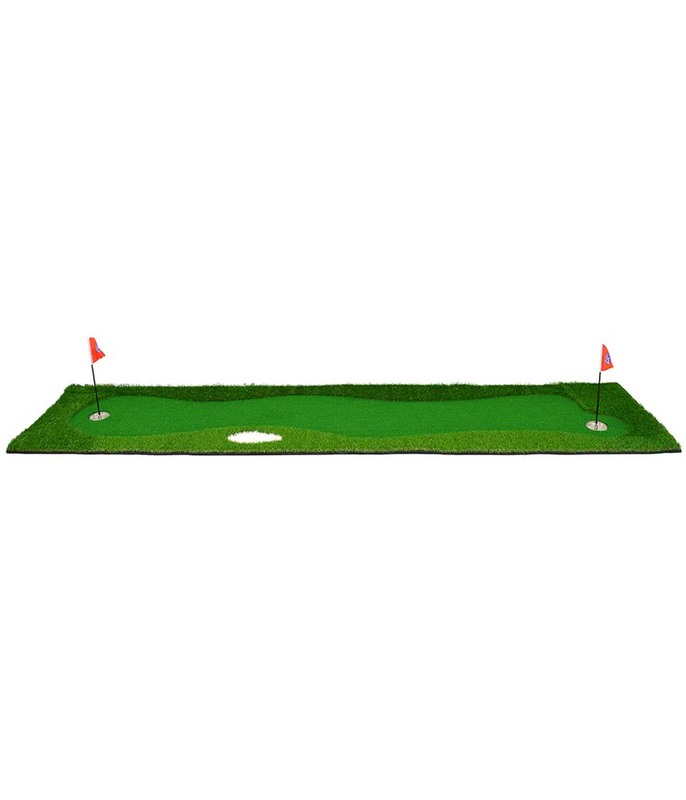 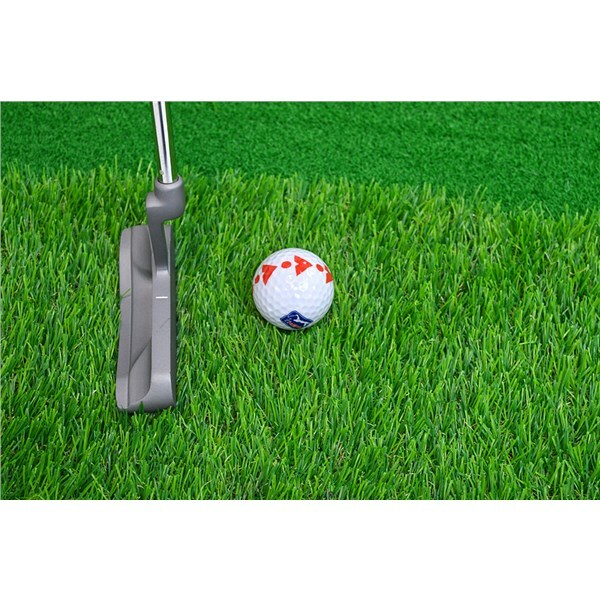 With its regulation size cups and removable flags the PGA Tour putting green mat will help refine your putting stroke for the next time you get out on the course. 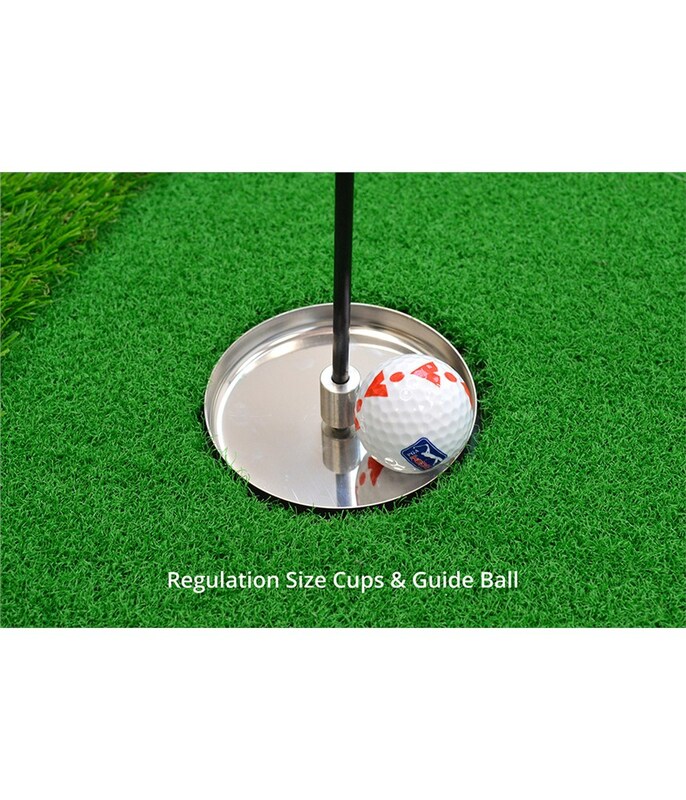 Removable mini flags and regulation size putting cups.Includes additional extras PGA TOUR Academy Training DVD, Guide Alignment Ball, Ball Alignment and Pen Set.